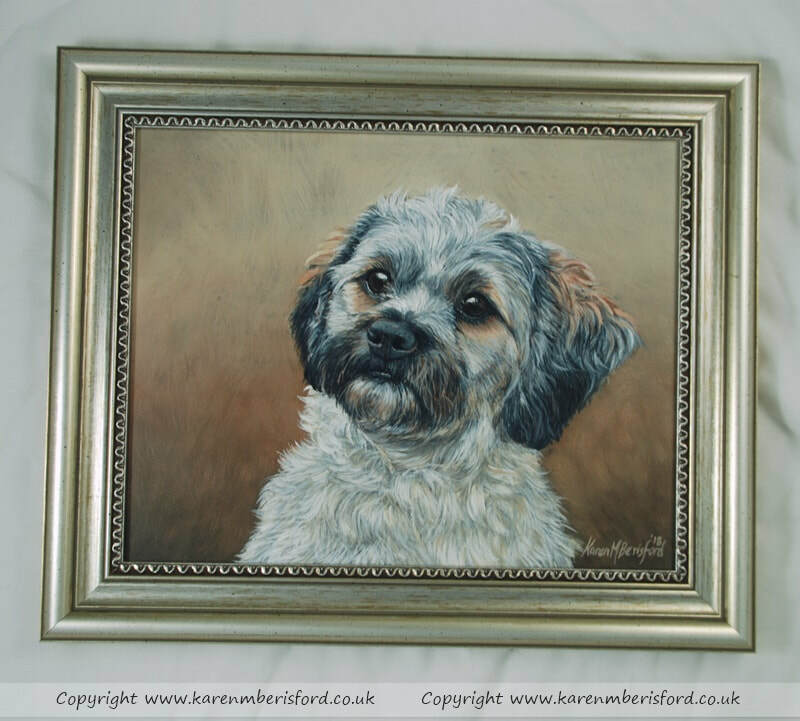 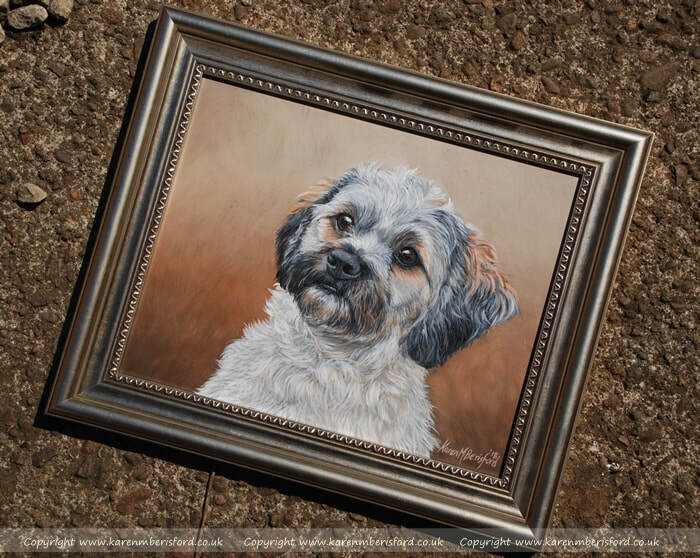 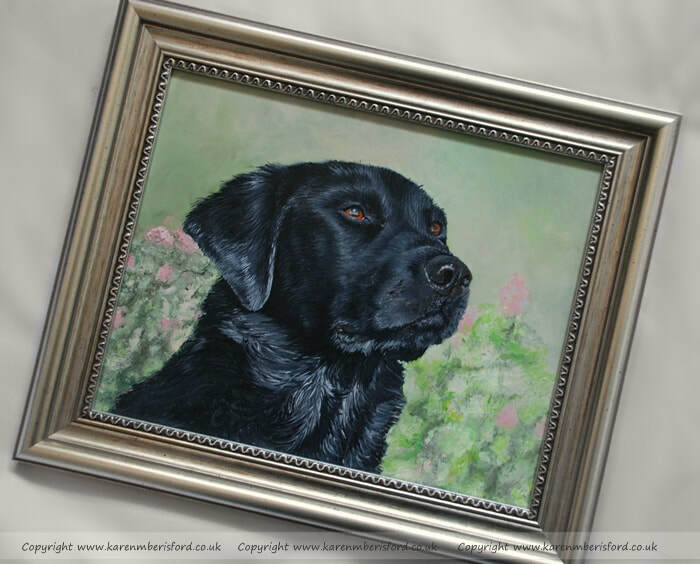 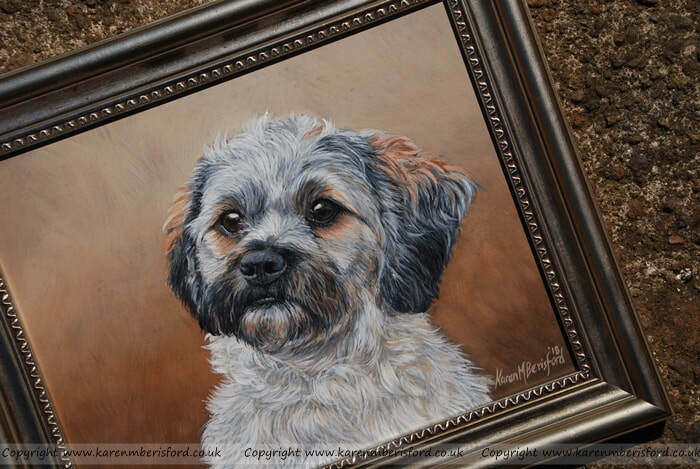 A beautiful silver gold frame suited to Acrylic paintings created on the 3mm board. 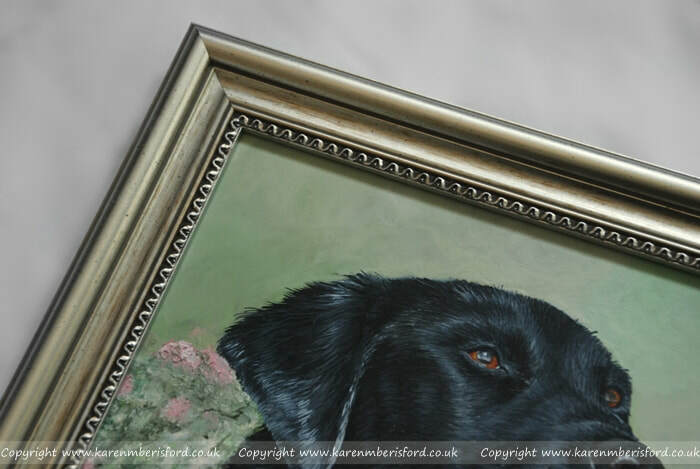 It has a wavy pattern all the way around the inner edge which adds a nice finish and would suit almost any portrait. 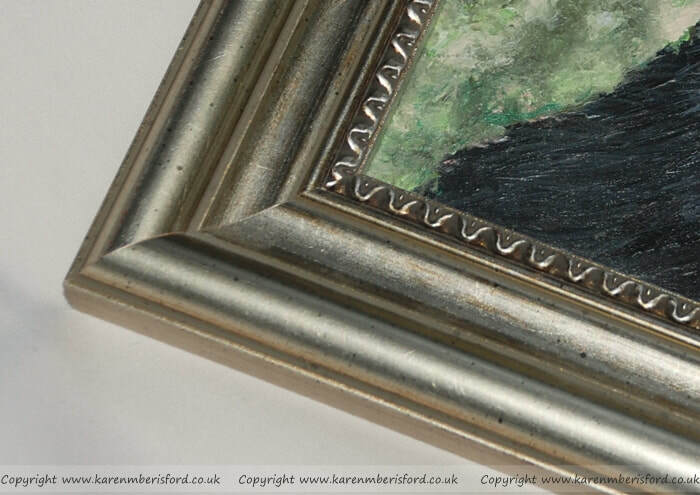 See our examples below noting the difference in colour dependant on the lighting.